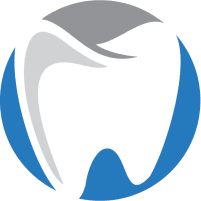 At Oxnard Dentistry in Oxnard, California, Kourosh Keihani, DDS, and his team offer a full-range of periodontic services to ensure the proper and high-quality gum care. Treating patients of all ages, Dr. Keihani uses state of the art technology to provide the best possible diagnostic, preventive, and curative services possible. Book an appointment at Oxnard Dentistry today by phone or online to learn more about the benefits of periodontal care. Periodontics refers to the specialty branch of dentistry that focuses on gum care. Generally speaking, periodontal services include disease prevention and care, as well as emergency interventions through advanced treatment. Dental implants are also part of periodontal care. If left untreated, these symptoms can develop into gum disease. In extreme cases, they can turn in periodontitis, which refers to when the gum pockets below your teeth are so deep and full of tartar and plaque that your gum starts to recede. The earlier you schedule an appointment with Dr. Keihani and his team, the higher your chances of avoiding the painful effects of gum disease. Periodontal disease, otherwise known as gum and bone disease, can affect anyone. However, certain factors contribute to your likelihood of contracting it. For instance, if you have a known family history of periodontal disease, have a chronic illness like diabetes, or have a smoking addiction. If the above doesn’t apply to you, keep in mind that periodontal disease can also develop as a result of poor oral hygiene. In fact, poor oral hygiene is the leading cause of periodontal disease. Make sure to brush and floss your teeth at least twice a day and monitor your gums for any sensitivity or bleeding. If you have removable dental devices, make sure to clean them thoroughly on a daily basis, as these can be great containers of bacteria. Dr. Keihani and his team can give useful advice about effective oral hygiene habits. Dr. Keihani and his team at Oxnard Dentistry can help you determine whether you’re at risk of developing periodontal disease and recommend proper treatment. The team at Oxnard Dentistry offers a wide range of treatments for periodontal disease, including nonsurgical and surgical options. In extreme cases, Dr. Keihani and his team may recommend that you get gum surgery either to fix receding gums, extract a damaged tooth, or perform a bone graft to protect damaged enamel. Dr. Keihani also offers top of the line laser gum treatments to cure periodontal disease. During this procedure, he uses a laser to access the infected gum pocket. This enables Dr. Keihani to remove infected tissue and clean out exposed and damaged enamel. If you think you might be suffering from periodontal disease, get in touch with Oxnard Dentistry today by phone or online to book an appointment.